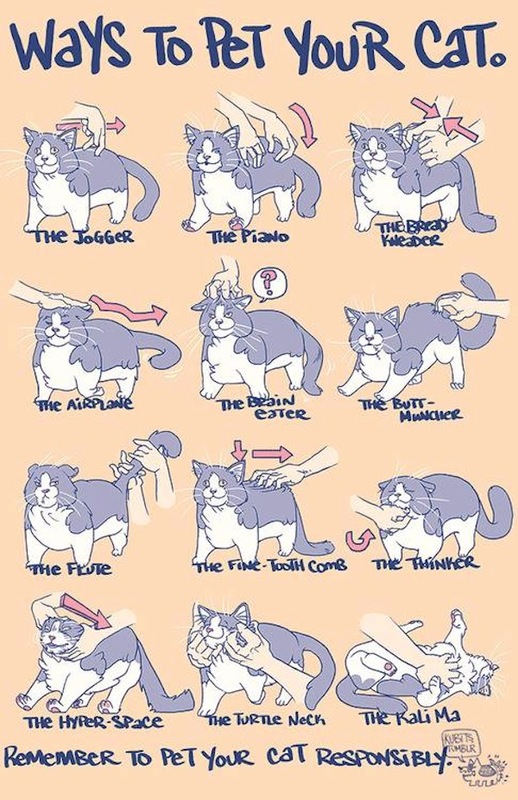 Loving feline owners know exactly how to pet their cats the 'right way'. 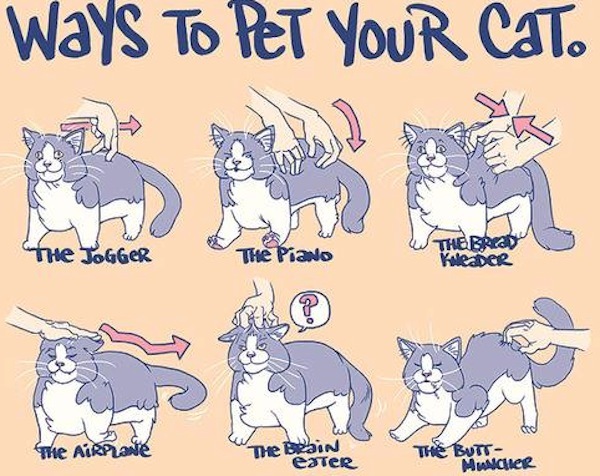 For those of us still trying to figure out our furry cat friend, here's a handy illustrated poster that shows 12 'tried and tested' ways that you can try. One of them is bound to make your cat feel loved and happy.